Dragon’s Den – What is Inside the Nest of the Mythic Reptile? For centuries, Dragon’s Den has been intriguing both the residents of Krakow and travelers, visiting the city. We all know that the cavern hollowed in the slope of Wawel Hill was considered as a nest of the mythical dragon. What is inside it today and is it worth visiting? Dragon’s Den sightseeing! Chronicles are consistent about that the mythical Holophagus (bodyeater – as the dragon was called by Polish chronicler Vincent Kadlubek) lived here during the reign of the legendary ruler of the city – Krakus, so over 1000 years ago. According to Kadłubek’s version, the reptile was killed by sons of Krakus who gave him a skin bag filled with sulfur (dragon demanded a constant supply of cattle, and if his appetite was not satisfied, he had a nasty habit of killing the castle inhabitants). Unfortunately, the younger of the brothers took advantage on the situation, treacherously murdered the elder brother (he claimed that the evil dragon did it) and take first place in line to the throne. When everybody found out about the fratricide, the younger brother and new ruler of Krakow was banished, after passing the throne of his sister – famous Wanda who did not want to marry a German prince. Chronicler Jan Dlugosz attributed the beast slaying to the Krak himself and at the end of the 16th century this story was linked with another one. This time a shoemaker Skuba, the legendary ancestor of a wealthy Awdańce family was attributed with a famous skin and sulfur trick. For killing the dragon Skuba was rewarded by a coat of arms and nobility. Did you know that according to the one version of the legend, the name of the city was derived from crows’ croaking and feeding on rotten dragon’s body? Entering the cave cost 4 PLN (about 2 euro). Not much you must admit. How big is the den and what you can see inside it? If you expect a small one, you will be pleasantly surprised – the tourist route is more than 80 m and includes up to three chambers. The greatest of them has a really impressive size – up to 10 meters height and more than 20 meters lengths. You should know that not all Dragon’s Den is available to visitors – the total length of the cave is more than 270 m, and in its inaccessible corridors live very rare shellfish! Some adults, especially not particularly interested in geological curiosities, can say, “Oh, cave like many others …”. Fortunately, kids’ imagination works better and with no doubt they will be delighted! To enchant adults who have ceased to believe in dragons, we would like to say that in the past, Krakow Dragon’s Den was once a shelter for vagrants, a public house and popular inn. Krakow inhabitants did not want to waste such a huge space with excellent localization! As we mentioned above, tickets to the Dragon’s Den are not expensive (4 PLN), and visit does not take too much time. Remember that the entrance is situated on a hill and you can descend into the cave after walking over 20 meters long down steps. 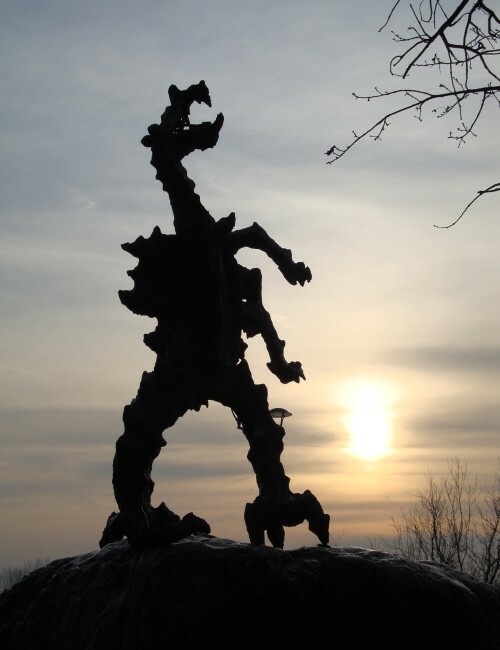 Exit is beneath the hill, where the dragon figure stands (the sculpture by Boleslaw Chromy is from 70’). Dragon’s Den sightseeing is available only in spring, summer and autumn! During the holiday season (July-August) walking tours are possible from 10.00 to 19.00, in May and June about an hour less (to 18.00), and in April, September and October till 17.00. Is worth mentioning that the air is a bit cooler inside, even on a hot day (take a sweatshirt especially for children). Dragon’s Den in Krakow is also included on our route Krakow Wawel Hill. If you want to know more stories about it and experience its incredible climate, then welcome! 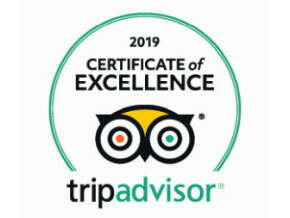 We also remind you about our special Krakow sightseeing tour with children. During the tour the youngest tourists have the opportunity to get to know Krakow legends and traditions, not just those associated with the dragon.